OUT NOW! 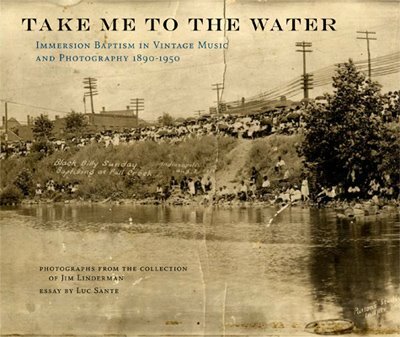 Take Me to the Water: Immersion Baptism in Vintage Music and Photography 1890-1950. With essays by photograph collector Jim Linderman and noted author Luc Sante. Click here to view the CD’s track list and to listen to audio samples. I finally have this book in hand and it’s just wonderful. Reading it feels invasive, like you’ve stumbled upon a forgotten box of family photos hidden in a mildewed corner of the basement. Take Me to the Water from Dust-to-Digital on Vimeo.